You can understand why it would have been tough for Eastern Washington to get up for this game. They were coming off a game against UCLA, it was a Friday night game against a lower level opponent, and the crowd at the Reese Center was sparse (to be generous). Still, the game had to be a little closer than Jim Hayford would have liked. Eastern Washington managed to win the game 83-72, but the game was in doubt until the final minute. The Lutes shot the ball well, and EWU just could not put them away until the very end of the game. The best player on the court for the Eagles was Cliff Colimon, who finished with a season-high 26 points. He also finished with 7 assists and 5 rebounds while playing all 40 minutes, so he certainly put in a full day's work. He did have 7 turnovers though, which is a big flag. This has not been a big problem for him this year though, so it could be a one game aberration. Collin Chiverton also had 26 points, and he had an efficient day from the field. He was 10/19 from the field while making 4 treys. Cliff Ederaine was the only other Eagle in double figures, as he had 12 points. Overall, EWU shot 57% from the field and made 11/22 from downtown. After a poor offensive showing the other night, this had to be good to see, no matter the opponent. 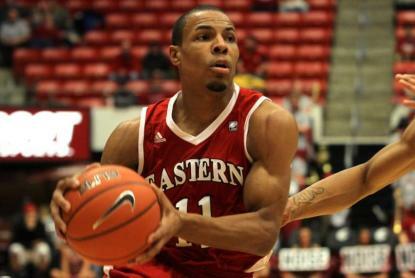 This was Eastern Washington's last game before conference play. They open the Big Sky season December 28th with a trip to Bozeman to take on Montana State.